Perfume prices have been rising, but it doesn’t seem to put off the consumers. 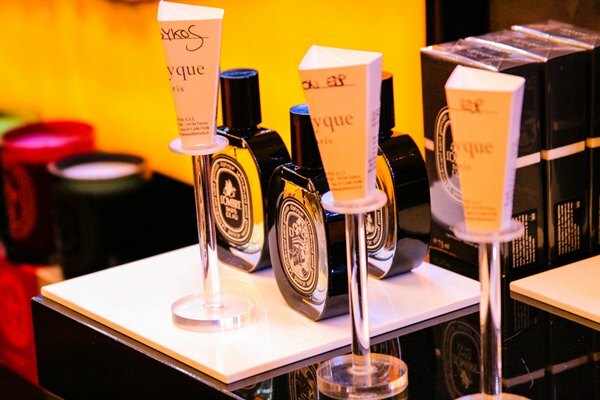 Women’s scents priced $100 and up saw a 40% increase in sales in the first quarter. Sales of new launches saw a 27% nosedive when compared to last year, the lowest since 2009. Perfume brands, please get the message–enough with the fast pace of launches! On a more long term note, the forecasting company Ungerer predicts that tea notes will influence fragrance in 2014. According to its recent report, “We have identified that fragrance will move towards more sophisticated gourmand scents which blend delicate fruits and flowers over the next 12 months.” Does anybody want to take bets? They also noted that oud will continue to play an important role, but one doesn’t need a crystal ball to figure that out. Photography by Bois de Jasmin (not a best seller, but I don’t want to use a Coco Mademoiselle again; it has already been in heavy rotation). So the vogue on line and in print for colognes has been borne out in sales that is interesting. I wonder if this is a long term shift in the market or evidence of the increased power of online comment, where there has been so much talk of this concentration of late? A little taken back by Light Blue, I had, in my naivety, no idea it was quite so popular. It’s always seemed to me to be bordering on the functional as a scent. I don’t that rudely, but it comes across almost as a refined room fragrance to my nose. Whatever the reason for more men’s fragrance being sold, hurrah to betting smelling gents say I! Victoria: I was curious to learn about the popularity of colognes too. I suppose that after the indulgence in rich gourmands and floral orientals, there always comes a point when you crave something lighter. The top three list did surprise me a bit since there doesn’t seem to be anything especially recent on it, but those are some extremely popular choices. Personally, I prefer Lancôme La Vie Est Belle over Flowerbomb, but they are similar enough that I don’t mind the latter since I’ve had the good fortune not to be assaulted by it very often on strangers when out and about. Hopefully some more interesting gourmands will come our way and less and less will contain oud. Victoria: I’m a bit overwhelmed by the speed of Atelier Cologne’s releases, but Mistral Patchouli was a winner for me too. I had no expectations for it, since I thought that patchouli has already been interpreted in so many ways. And yet, I loved its fresh and effervescent character (and that delicious salty note). Easy to wear, but it’s distinctive and very different from other patchouli themed scents I know. I published excerpts from another study, in France this time, and the results are very similar–women are tired of identical new launches and they prefer buying from the established brands. It looks like very few new launches even end up in the top 10 lists. zephyr: Me too! Mandarine-Basilic and Herba Fresca – lovelovelove in summer! Both sitting on my dresser right now. Karina: That is very interesting to me Aisha, I was just saying recently how I have been a long-term wearer of Coco M and just in the past year I find myself unable to wear it because it now triggers an awful headache for me too. It also smells more potent to me now than it used to which makes me wonder if I have somehow become sensitised to it. george: Of course! Next year’s aftershaves will be designed for a particular brand’s own very particular type of male customer, who is an individual, doesn’t feel the need to go with the crowd, breaks all the rules, celebrates the freedom that comes with being a man, is unexpected and spontaneous, and who wants to wear an aftershave that smells like it was made by Hugo Boss. Two forces: Man and his Freedom. It urges him to take risks. He embodies that greatness of a man when he chooses to be free. That enigmatically seductive, bold masculinity. A man who is resolutely unexpected. In his actions. In his life. That’s not a surprise, but I’m avoiding perfumes that cost more than $100, and my absolute budget is $150. I get the “$150 is the new free” joke but it’s not as if $150 is close to being the minimum. Almost everything from CdG, Diptyque, Etat Libre D’Orange, Parfum D’Empire, Parfumerie Generale, Les Nereides, Eau D’Italie, Serge Lutens, and Annick Goutal is under $150 and some of those brands are even under $100/50ml. Ines: In my frugal attempt not to overspend, I have become drugstore co-dependent – revisiting old favorites like Wild Musk & Emeraude by Coty and Royal Violets by Agustin Reyes. Now that you mentioned tea scents, I also just dug up Green Tea with Jasmine Eau De Toilette by L’Occitane and Tea Rose by The Perfumer’s Workshop Ltd with top notes of rose and tea leaves both not too spendy. Annikky: Trends tend to get bad press, but I find them fascinating: especially their origin and dissemination. There are trends in everything and while following them blindly tends to be ridiculous, they do bring new ideas and fresh outlooks to the mainstream. Probably because I actually am interested in this subject, I get quite annoyed when presented with “florals for spring” type of predictions. But I’ve encountered some insightful reports on flavour and colour trends, so I know it can be done well. Victoria: I completely agree with you! These fragrances have already been time tested, so to speak, and the fact that women select them over the one day (or season) wonders points to their staying power. Courant: I have a back up bottle of Ambre Dore but I confess I am terribly conflicted over Oud.